Animal Rescue and I have been friends for well over 13 years. It began when I was going through a rough patch in my life and became addicted to watching the Animal Control Officers Rescue shows. Then one day I got off the couch and said to myself “So what are YOU doing to help?” That evening I applied to foster for many rescues but the one that fit my personality the most was a boxer rescue. Through rescue I became acquainted with most of the folks at Sonoma County Animal Services and The Marin Humane Society. I kept hearing “Shirley this and Shirley that” but never really made an effort to meet this infamous “Shirley”. After my own dog died I went in to the Sonoma County Animal Services to meet a beautiful black Great Dane puppy, thinking she would be perfect for me and was told that the giant puppy who had curled herself into a ball and was clearly praying she not be seen was being adopted by “Shirley”. I thought ‘I have to meet this puppy stealer’-in jest of course. 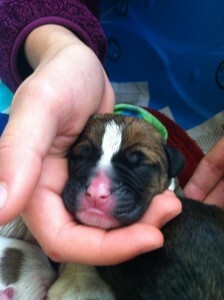 Fast forward two years: a dear friend had offered to foster a pregnant boxer. It was her first foster and my first experience with a pregnant female. 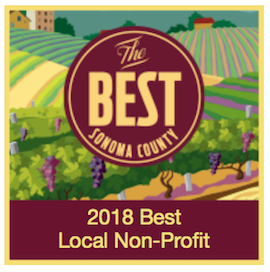 When I mentioned this in passing to the Kennel Manager at Sonoma County Animal Services, she said “oh you must call Shirley” and she gave me her cell phone number. So I did. 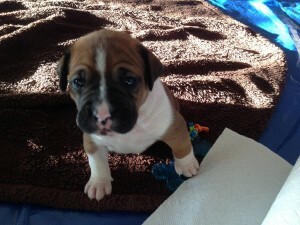 As it turned out this pregnant boxer was one of my most horrifying and rewarding cases I have ever dealt with. You see, the mother had an undiagnosed heart issue and died leaving my friend and I with 9, only day old puppies and very little experience. This meant feeding 9 puppies every 4 hours, helping them eliminate, keeping them warm but not too warm, being sure they where gaining weight, and knowing when they were failing. 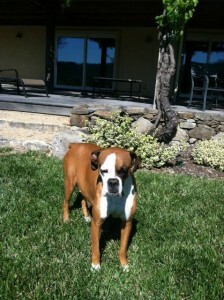 I was at a loss… clearly overwhelmed… and deeply saddened by the loss of the fabulous boxer mom. Then there was a beacon light on my phone “how are things?”-Shirley. To say Shirley was a life saver would be an understatement. I called her day and night asking for guidance and she always picked up. She was a coach, a mentor, a friend, a therapist. She was (and is) a God send. She helped us save 7 of those 9 puppies, helped me understand that not all puppies make it and that was normal even with the mom alive. She even offered to take them if we needed her to. I feel blessed to be in rescue helping those who couldn’t help themselves. Meeting the fabulous animals and people in rescue. Seeing the completion of families and the beginning of best friendships with their new four legged companions. The fosters forgiving their pasts and beginning their new lives forever changed is truly wonderful. If I could wag my tail I would because from the day Shirley texted me “how are things?” till this day forward I knew Shirley was a friend for life. A life saver. What I have received will always out weigh what I have given. Thank you Shirley Zindler, I am so proud to call her my friend. 1 Comment on "Meeting Shirley Zindler – by Hannah Houston"
Met Hannah at Western feed in Santa Rosa. Will contact for foster care for dogs for me and my mom is interested in doing cats. Need to call and ask ? ?s.